Quick ‘n Dirty Rating: Class 2 – you fall, you sprain your wrist. 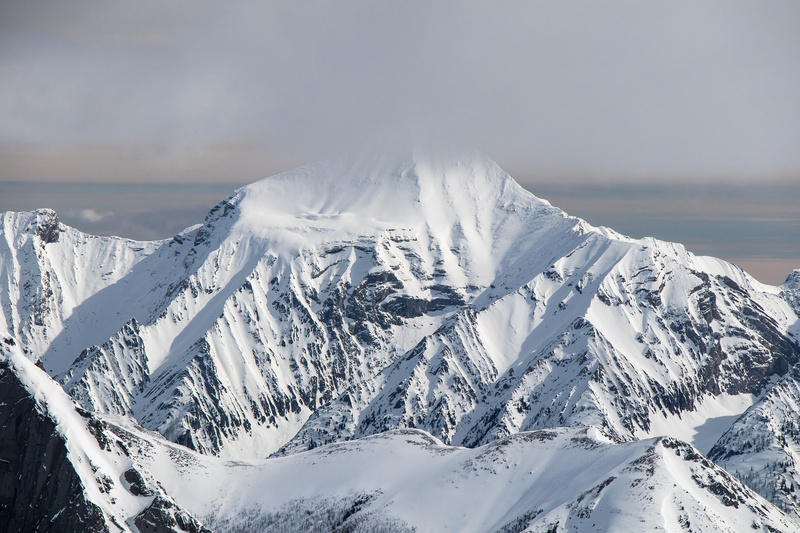 Difficulty Notes: If you ski up the peak, the main difficulty is planning your trip around a good snow pack and stability. There are avalanche slopes on this route despite reports suggesting otherwise. If hiking dry I’m sure it’s no more than a hike. 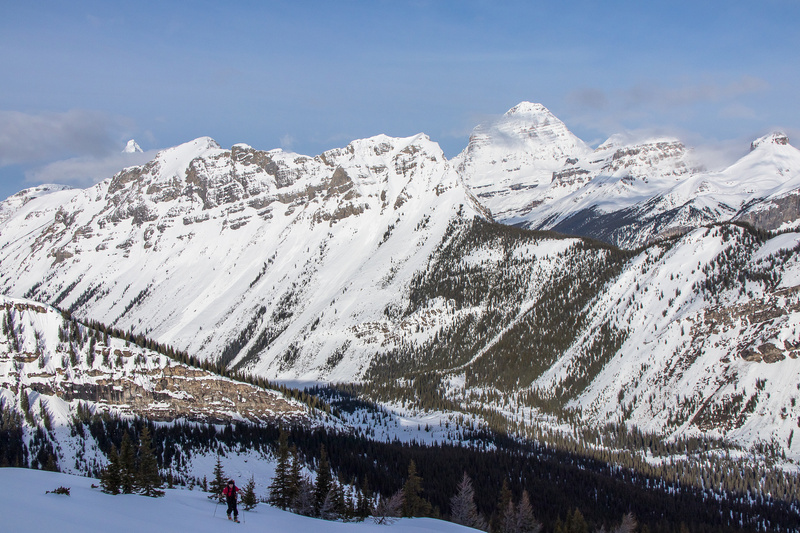 On Saturday, April 22 I finally managed a long time goal of mine – skiing Mount Turner in Banff National Park near the Mount Assiniboine, Bryant Creek and the Spray River area. 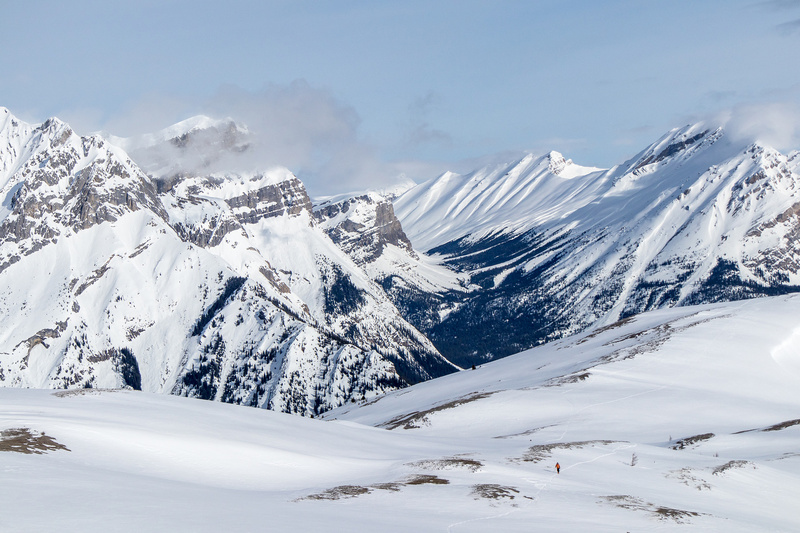 I knew already for years that Mount Turner could be skied or snowshoed and it was in the plans for nearly every spring over the past 5 years or so. Steven did it in January on a very cold day on snowshoes. The views from his trip were inspiring but not the slog that he described. I decided that if I was doing Turner with snow, I was skiing it. The winter of 2016/2017 has been pretty dismal for me in terms of backcountry skiing. I’ve been to the resort more than ever, which has been fun, but my true love of snow is backcountry. I love skiing uphill for some strange reason, and of course I love the crisp, clear views that only occur when there’s snow on all the surrounding peaks. Finally it looked like a weather window might be opening up on Saturday morning, April 22 and I decided it was time to jump at it. Wietse and Ferenc agreed to join me and Wietse had the excellent idea of going into the Bryant Creek Hut the night before, in order to get an earlier start on Saturday. Given the fact that the avalanche forecast was higher below treeline than above (that doesn’t happen often) due to a very high freeze-level on Friday night, we all agreed to this plan. I booked the hut on Thursday afternoon and was very surprised that we were the only ones in it. I’ve tried booking it more often and it’s always right full. I guess winter must be winding down and it’s between seasons now. The wx wasn’t a sure thing at all. 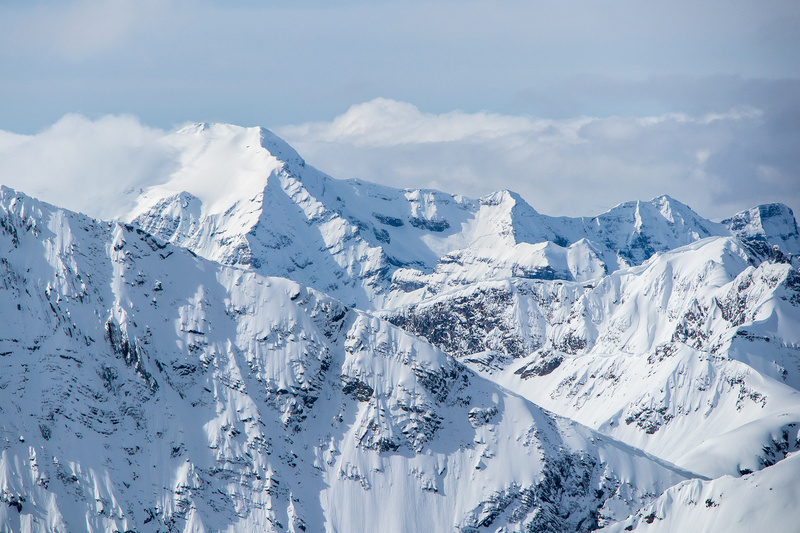 Different forecast models predicted everything from a mix of sun and clouds to full-on white outs at the summit. The Bryant Creek shelter is rustic but beats a freaking tent in winter every time! One thing I didn’t remember until just before leaving Calgary was that we’d actually be skiing past the turnoff for Turner, and skiing 2km further (each way) than strictly necessary due to the hut idea. Since the final 2km is mostly uphill, we knew it would be a quick ski back down in the morning and decided it was still worth it. It only took about 30 min longer to get to the hut past the Owl Lake junction. I arrived at the hut as darkness settled in, and got a cheery fire started to welcome the other two guys. We enjoyed a few hours of chatting by the warm wood stove before turning in. I set my alarm for 05:00 with a goal of getting underway before 06:00. I slept pretty soundly and too soon my alarm was going off. We slowly prepped for the day ahead and ate breakfast before venturing outdoors to faint light and cheery birds. It certainly didn’t feel like a freeze. 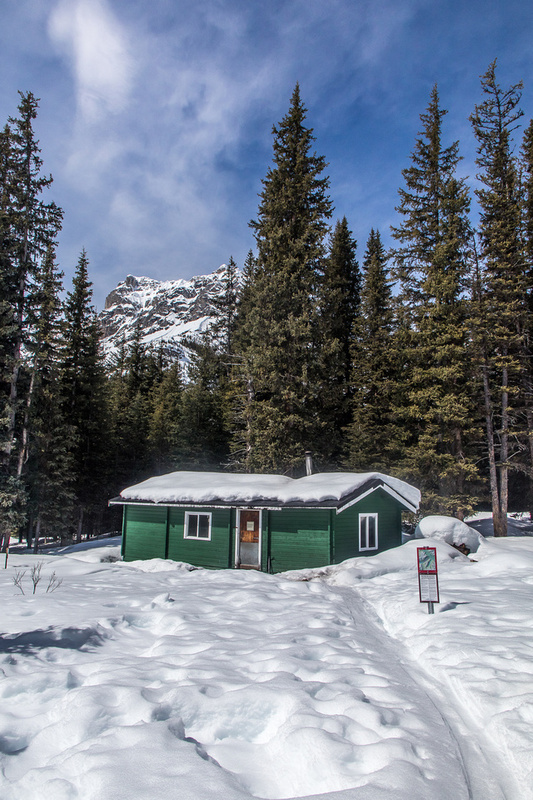 We noted that the snow had setup nicely around the cabin and proceeded down the icy trail back to the Owl Lake junction via headlamp. Before hitting the junction we put skins on the skis to offer some level of control on the ice. Once at the junction we dumped our overnight gear and Ferenc realized his stove was back in the hut! Oops. We agreed that we would either get it on return or he’d return another day for it, depending how tired we were after Turner. 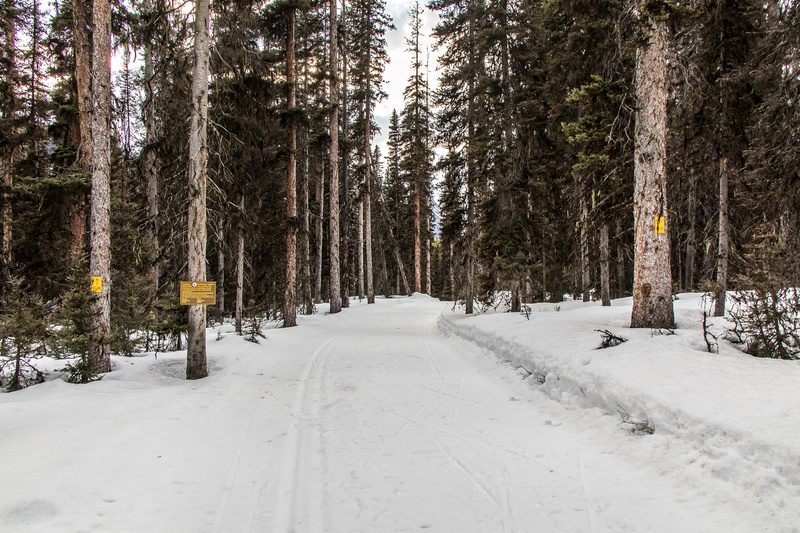 I led the way down the Owl Lake trail, following very faint ski tracks on very firm snow. The trail became almost impossible to follow, thanks to a deep snowpack and how hard the surface was. I was thankful for Steven’s GPS track or we would have gotten lost in the trees for sure. Turning steeply up the lower end of the NW ridge on a very firm crust. We crossed Bryant Creek on a nice bridge and started going uphill again. From the creek we headed straight southwest, aiming for the lower NW ridge of Turner which would be our access to the mountain. 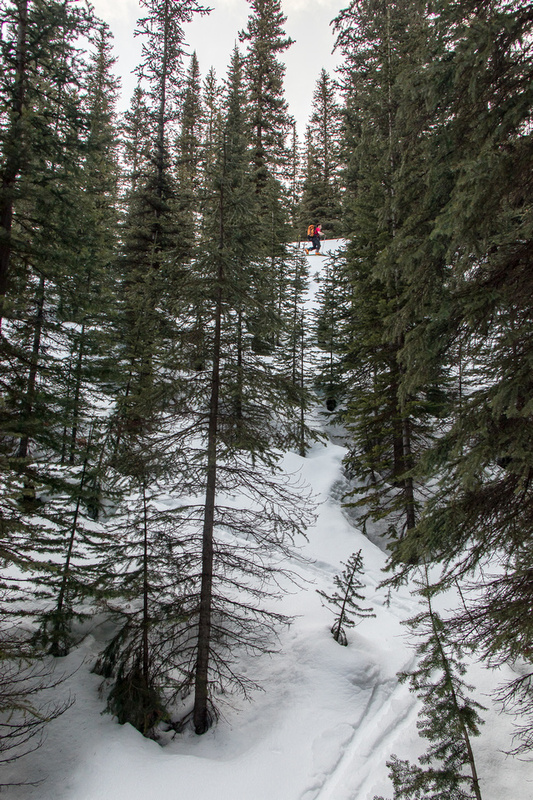 After an awkward crossing of one of Owl Creek’s branches, we started a 90 degree turn to our left, heading up steep, treed slopes on a very firm snow crust. Ferenc picked an excellent line, somewhat more direct than Steven’s GPS track. I knew I should have brought ski crampons but didn’t bother (I hate doubling gear and brought boot crampons instead). After a very steep grunt through thinning forest, we finally started getting our first of many views – and they were impressive. Much more impressive than I was expecting, given our forecasts! We skinned up a broad snow gully under a mostly clear sky with views of Mount Eon and Assiniboine stealing the show as we worked higher to our first high point on the NW shoulder of Turner. Ferenc stopped for a bite to eat while I rambled on towards a very distant summit block – still a few kilometers away and hundreds of meters of elevation gain. The NW ridge beneath us and Bryant Creek meadows far below now. Peaks in the background include Cave, Wonder and Mercer. The views continued to get better and better as the clouds amazingly thinned instead of getting thicker. 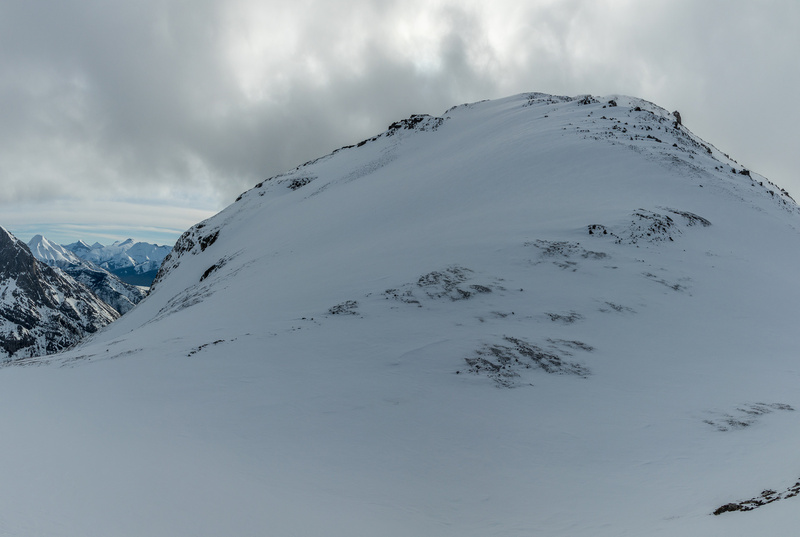 Eventually I started spotting familiar Spray Lakes summits to the east. It was the giants to the west that really got my attention on ascent though. Alcantara, Eon, Assiniboine, Beersheba, Mercer and Cone were stunning in the early morning light. Some of my favorite views all day were of Eon (L) and Aye (R) which were even more impressive than Assiniboine from this angle. The snow continued to be very firm and travel was quick and easy. After losing some height on the undulating ridge, I started up towards the summit block, which surprised me a bit with it’s steep aspect. 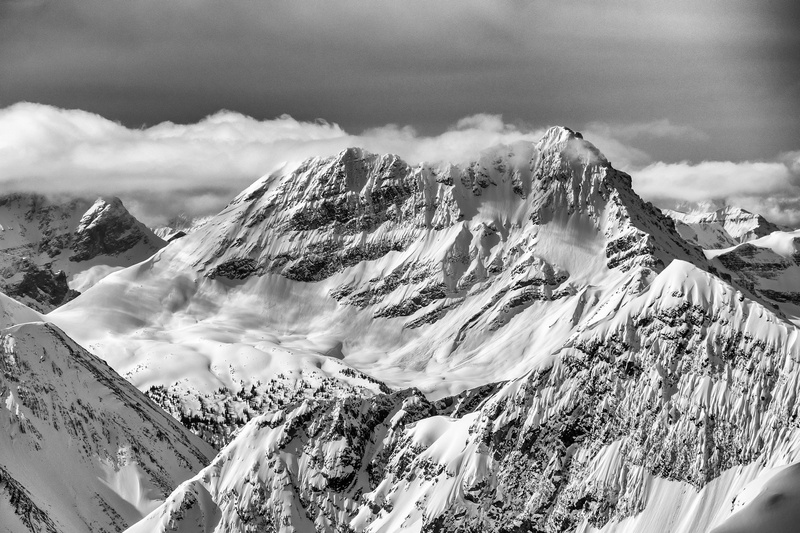 I’ve heard from several sources that Mount Turner is a good peak to do in almost any avalanche conditions. I disagree. I’ve been involved with small slides that have bigger-than-expected consequences and Turner’s summit block could definitely slide and do damage quite easily! There is exposure down the extremely steep north face that would certainly kill if the upper block slid. There’s also exposure lower down in the steep, treed terrain, that would injure or kill because of the trees you’d be dragged through. I would not recommend Turner in any sort of elevated avalanche conditions based on these two sections but of course YMMV. 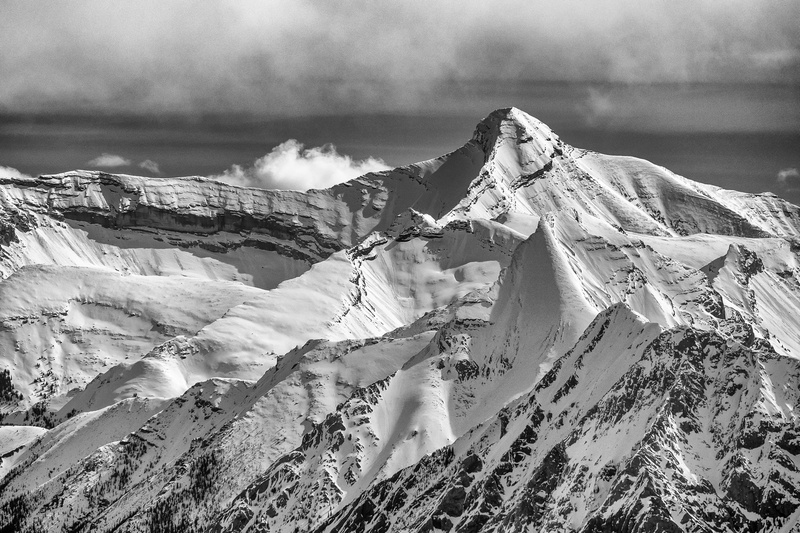 A zoomed in shot of the NW face showing the big avalanche slope that funnels right down the north face at left. We avoided the face and stayed on climber’s left of the face. Mount Shark visible just to the left. Wietse on the NW shoulder. I slowly made my way up the lower summit block until I started slipping around on the skis thanks to about 2 inches of fresher snow on a firm crust. The choice was between strapping the skis on my pack or leaving them behind and boot-packing the rest of the way up to the summit. 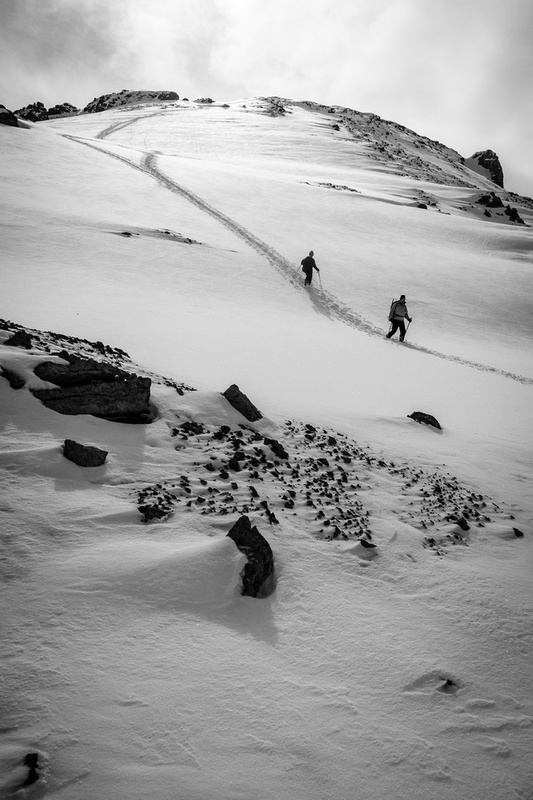 As Ferenc and Wietse joined me, we decided to boot-pack since there was scree and rock showing through the snow above us and none of us wanted to flirt with the huge run-out slope on the NW face that would be great skiing if you took the risk to ski it! On hindsight we missed some of the best skiing of the day by leaving the snow sticks behind but oh well. I’m always a “better safe than sorry” kind of person and we made the best decision we could at the time. We would have had to take the skis off a few times on descent thanks to scree and rocks, but the ankle deep powder on two sections near the top would have been worth the inconvenience. Next time. Ferenc and I took turns kicking steps up the steep summit block in ankle to calf deep powder on a very firm base. We were both in t-shirts at this point – the spring sun was very warm. 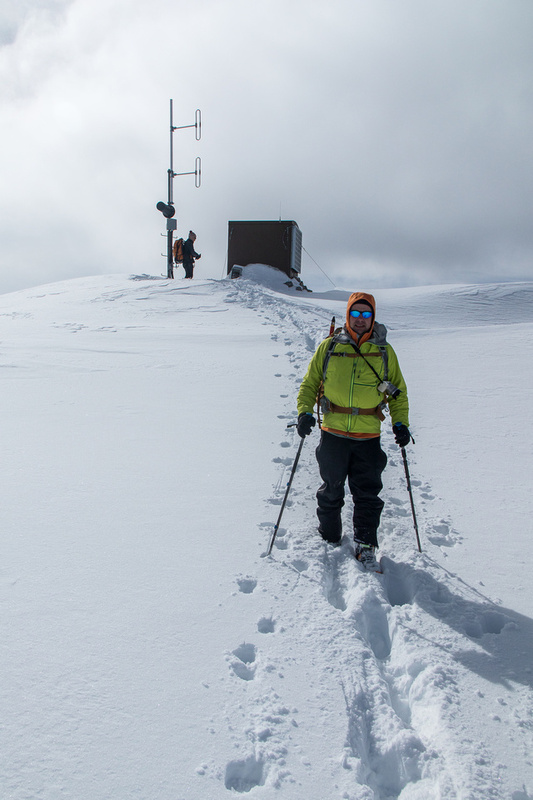 I was slightly concerned about wind slab, but everything seemed to be locked up pretty good and before long we were plodding the summit plateau towards a communication hut of some sort. The views were so good, even a small shack at the top couldn’t ruin them. 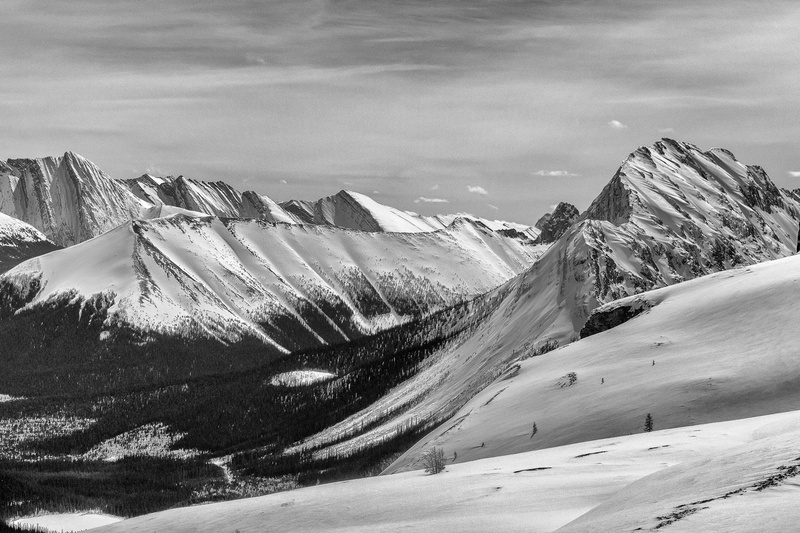 Turner must have one of the best views in the southern Banff, Spray Lakes area. We could spot the obvious giants such as Eon, Aye, Assiniboine and Sir Douglas, but also others such as Beersheba, Mercer, King George and White Man Mountain. I took way too many photos! The wind was cool but the views were so good that we still spent at least 45 minutes at the summit. We felt like we had stolen a day, considering the unstable weather forecast. 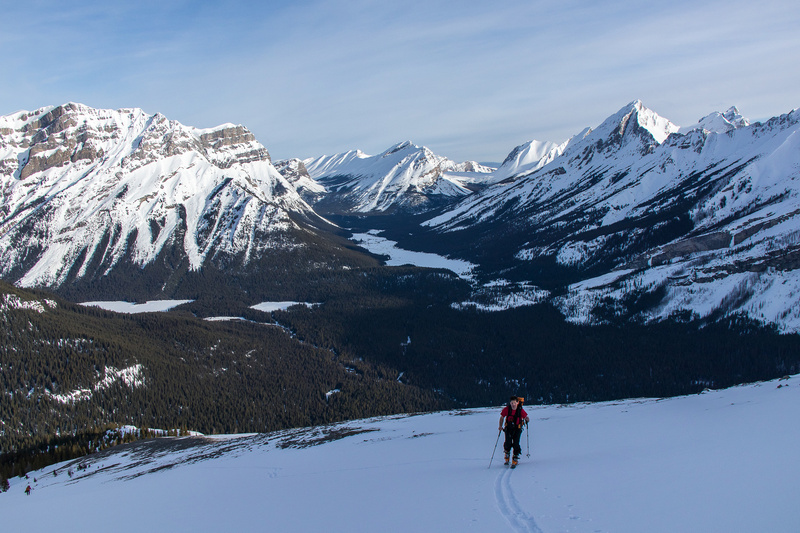 Ferenc makes the last few steps to the summit of Mount Turner with stunning views. The entire Assiniboine area in full view including (L to R), Eon, Aye, Assiniboine, The Towers, Wonder, Cautley, Cave, Og, Allenby, Mercer and Beersheba. Among many others of course. I have very fond memories of hiking alongside the river and ascending (bushwhacking) to a lovely tarn between Mount Warre and Vavasour with my daughter in 2014. 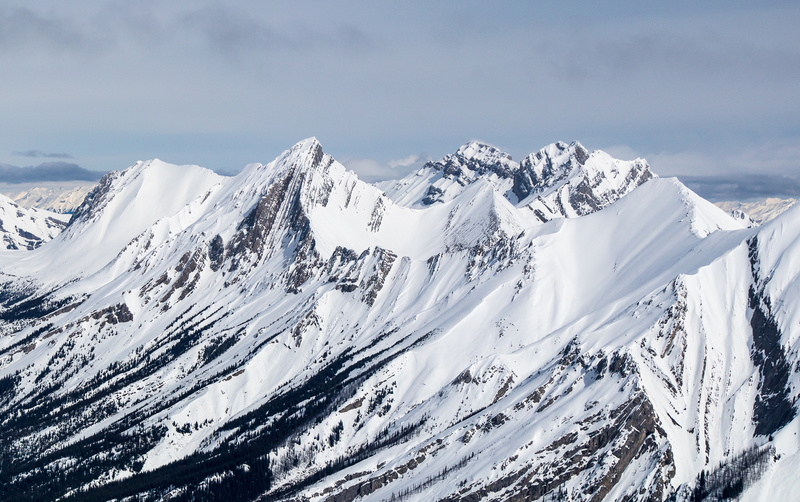 Tele shot over Bryant Creek Meadows include (L to R), Gibraltar Rock, Cave Mountain, Citadel, Og, Golden, Allenby and Mercer. As expected, the ski back down was fast, fun and over way too quickly. The thrash out to Bryant Creek and then back up to the main trail sucked, as expected. The crust was starting to break down in the forest, which made turning pretty much impossible. I put the skins back on at Bryant Creek and then proceeded to the main trail and kept going, back up towards the Bryant Creek hut. The sun was getting pretty darn warm by the time I finally struggled up the headwall and across fresh avalanche debris towards the hut. It was impressive the way the avalanche had ripped through some pretty mature trees from Cone Mountain far above the trail. I found Ferenc’s stove on his bunk and started skiing back to the Owl Creek junction. Wietse had just arrived when I got back, and we had a little break while waiting for Ferenc to arrive. The long slog out to the parking lot wasn’t as bad as I was expecting. We met a pretty big group on xcountry gear, presumably going into the hut. 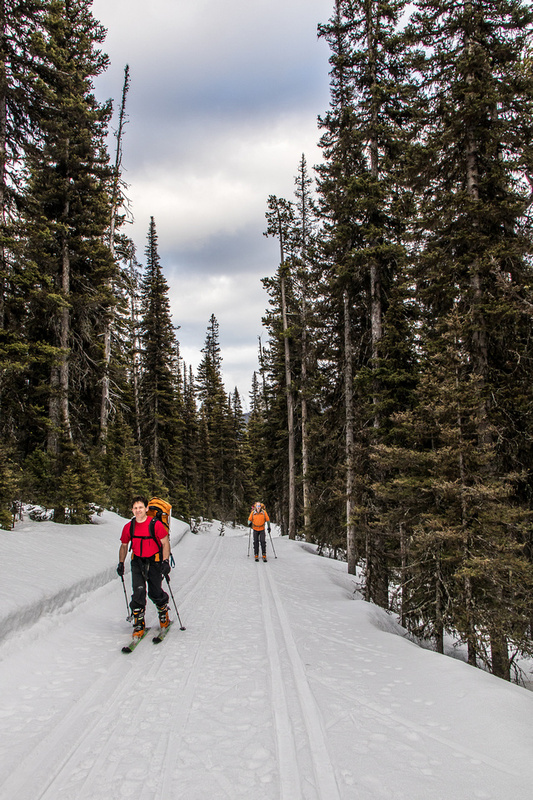 They reminded me of my first winter trip, which was also on xcountry skis and also to the Bryant Creek shelter. It seems like a long time ago now. We were so naive back then about avalanches and the risks of winter travel! I don’t even think avalanche bulletins were published! Certainly not the way they are now. Once again I managed to go the entire way out without donning skins. The big hill after crossing the Spray River really sucked – as usual. I really love how just when you think you must be done the hill, you come around the corner and realize you’re only half done. That is awesome. It gets me every time! I had a nice long snooze in the warm sunshine at the top of this section while I waited for the other guys. It was a few moments of restful bliss before slogging the final 4km out to the truck. 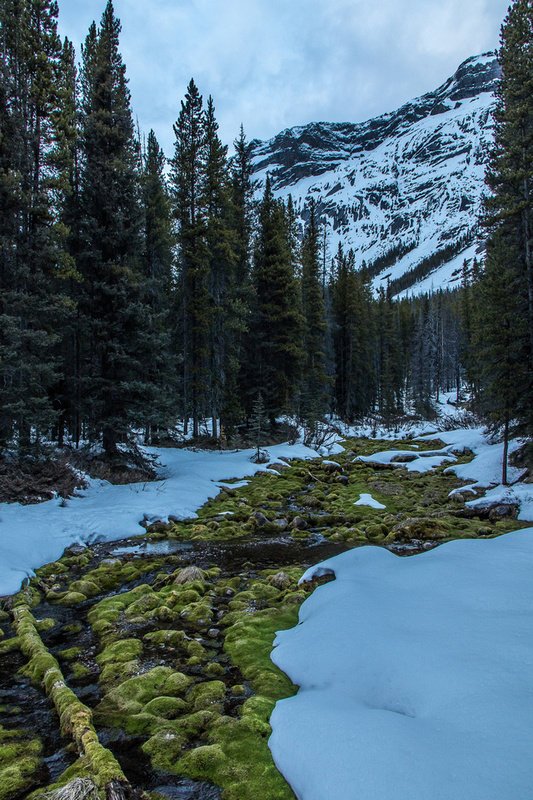 The green moss near BR9 – Big Springs camp site – makes for great winter photos. 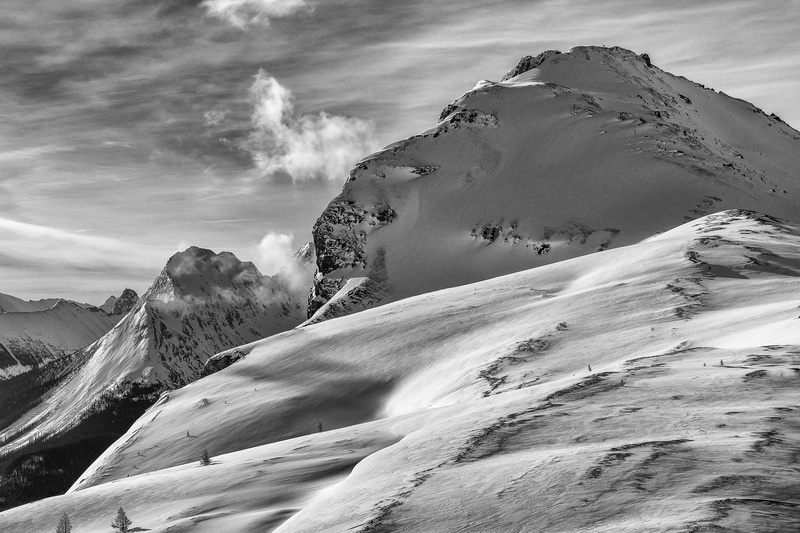 I really enjoyed Turner on skis and highly recommend it as a ski summit for strong parties. 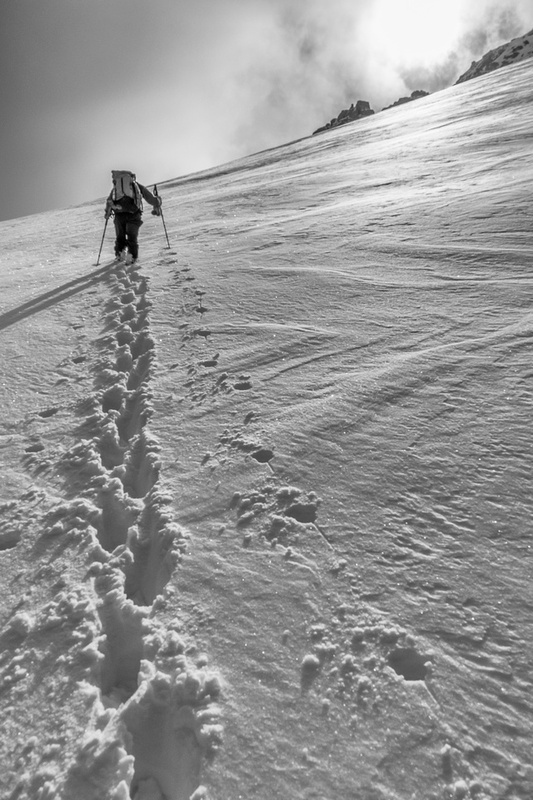 Don’t underestimate the slopes or the length of the approach and egress. Also, don’t forget that adding Bryant Creek shelter does increase your stats, both distance and height gain. I also strongly recommend against doing this summit without views. 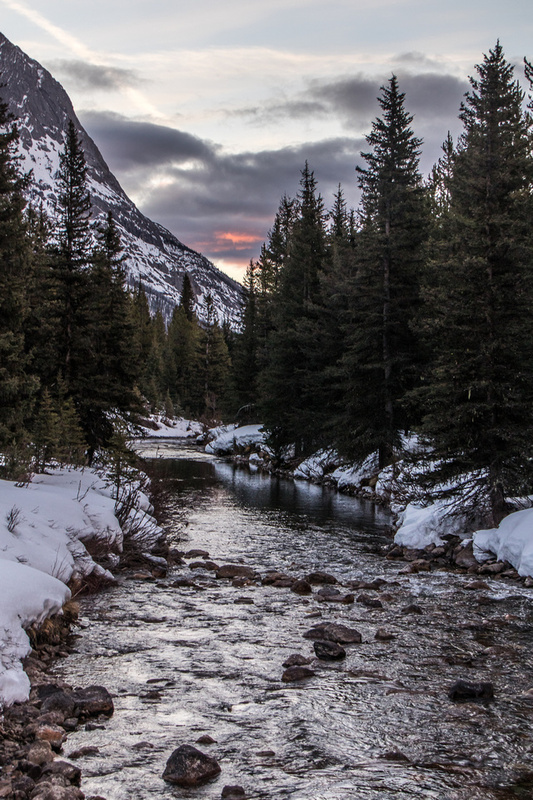 You’ll be missing some of the very best the Rockies have to offer. Leaving the parking lot with Turner's east face and summit towering in the distance. Morrison at far left. Yes - it's warm. Remember, it's around 19:30 already at this point. 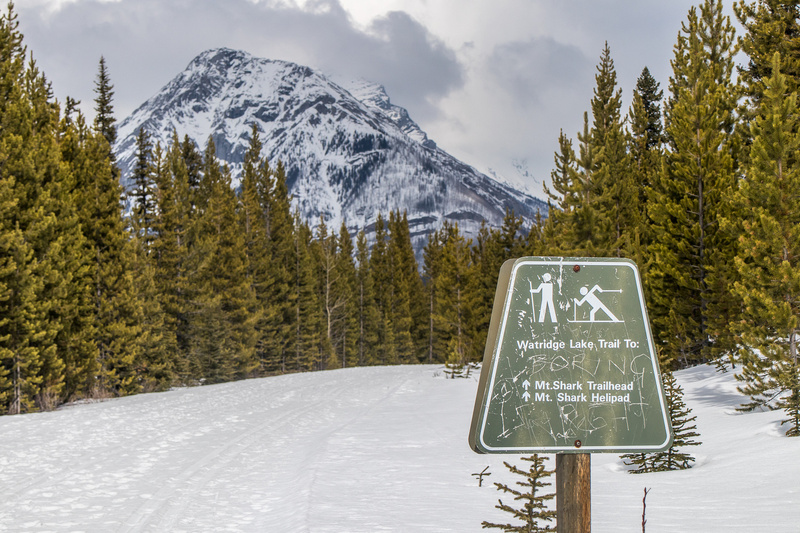 The wide, groomed trail is about the end after reaching the Banff National Park boundary. Darkness is settling in as we cross the bridge near the BR9 (Big Springs) camp site. Some morning lighting as we cross Bryant Creek on the Owl Lake approach trail. Ferenc follows up the NW ridge - the views are starting to open up with Wonder Peak rising on the right. As we got closer to treeline we found a very nice ascent (and descent) gully that took us to the upper NW shoulder. 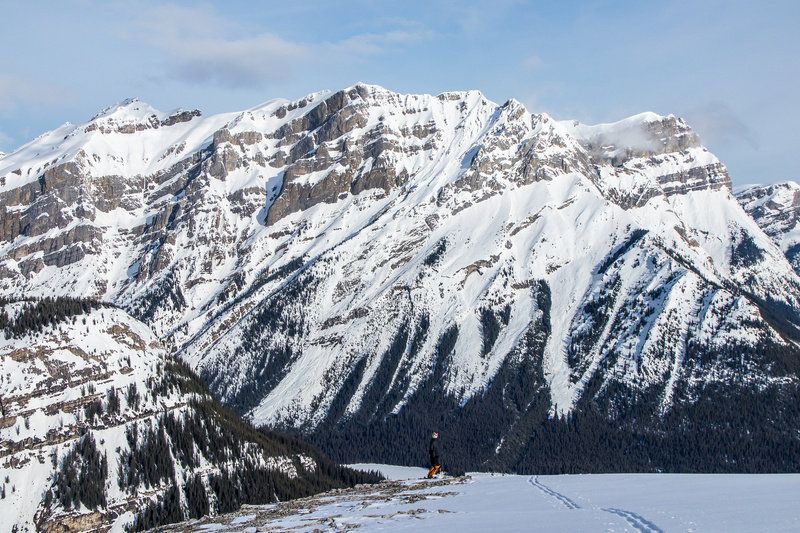 Looking over Marvel Peak towards Eon, Aye, Assiniboine Terrapin and The Towers (L to R). Peaks in the background include Cave, Wonder and Mercer. 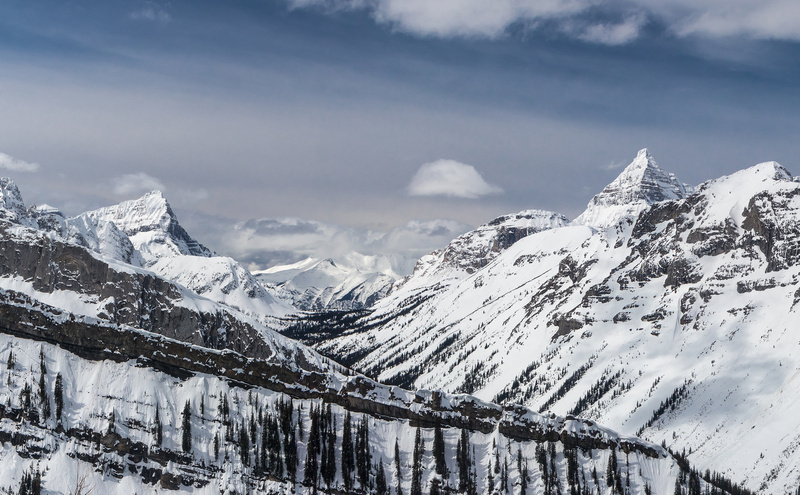 Assiniboine, Magog, Terrapin, The Towers and Wonder Peak. Wonder Peak and Ely's Dome massif in the distance. Looking ahead to the summit block, far up the NW ridge of Mount Turner. 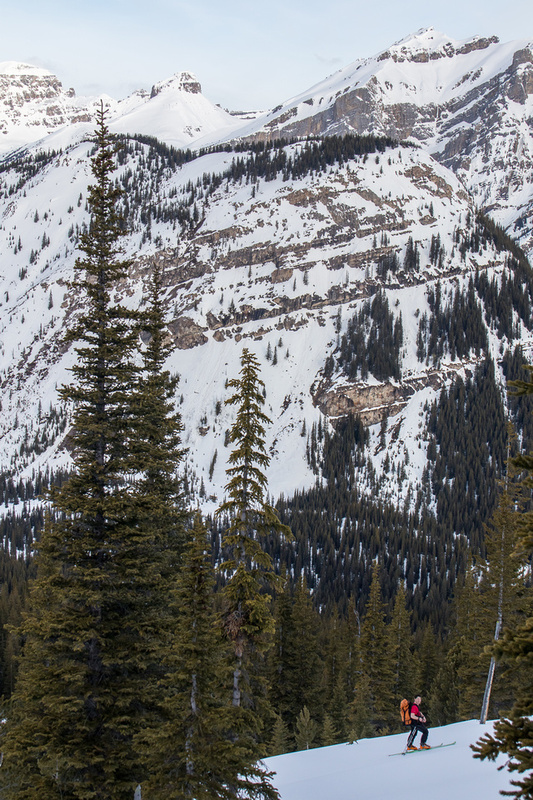 A zoomed in shot of the NW face showing the big avalanche slope that funnels right down the north face at left. 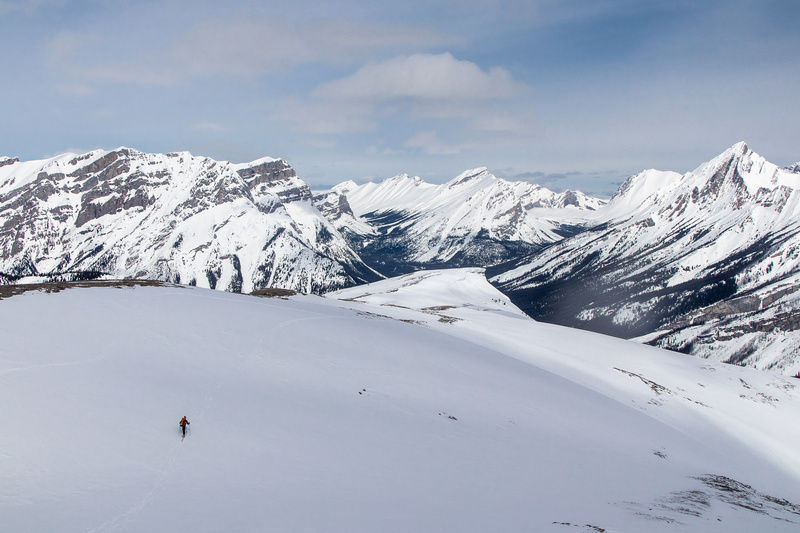 The views from Turner are stunning in every direction once you get up high on the NW ridge. At left is the Cautley massif with Cave Mountain, Og, Allenby Pass, Allenby and Mercer (L to R) visible. 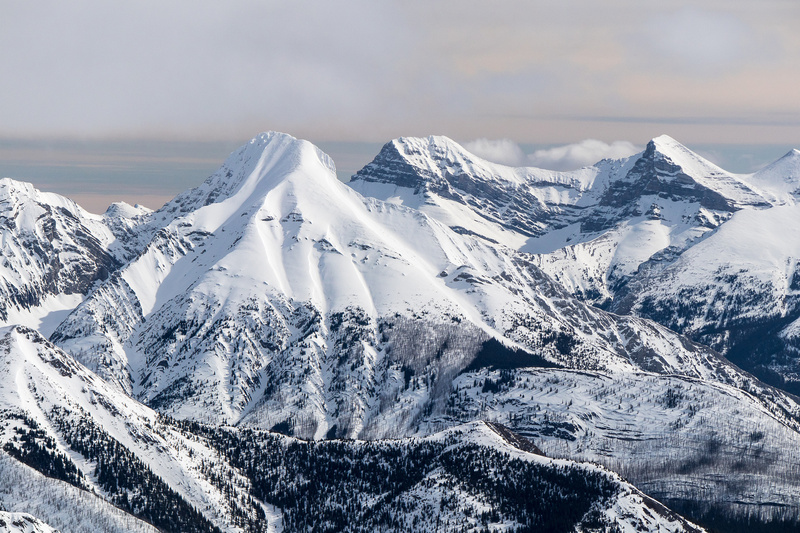 Amazing views over the Owl Creek drainage towards Eon, Aye, Lunette and Assiniboine. 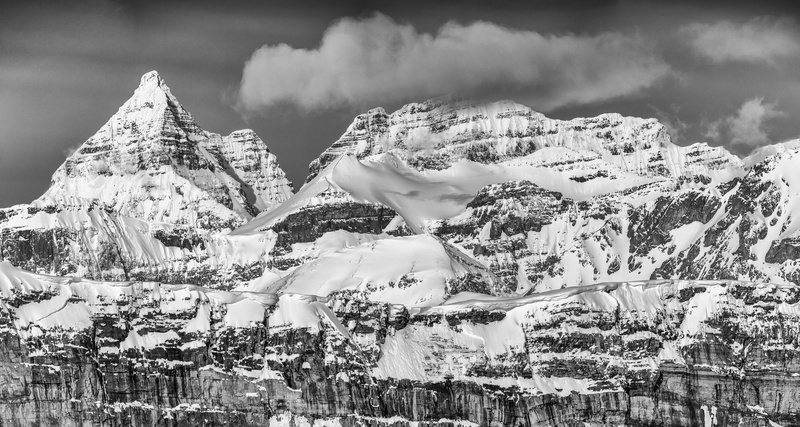 Eon (L) and Aye (R) which were even more impressive than Assiniboine from this angle. The summit block - 300+ vertical meters of height gain. Eon is more impressive than Assiniboine from this angle. Ferenc breaks trail up the summit block. 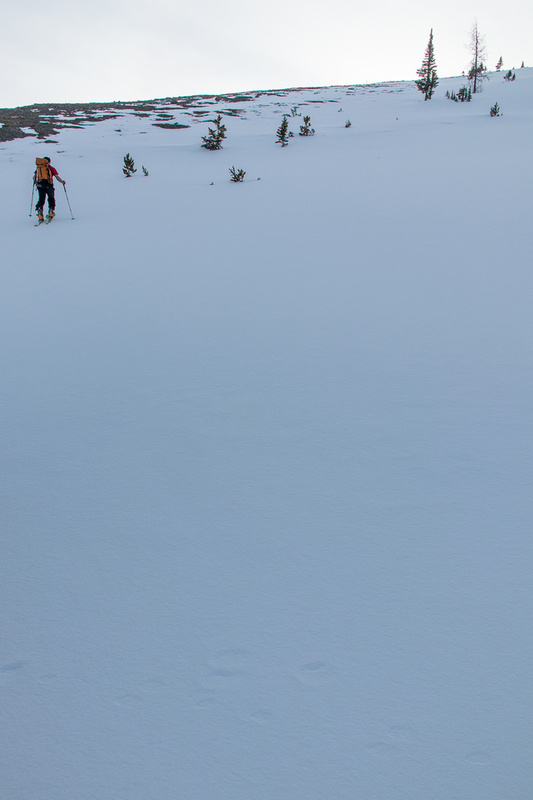 There were a few scree / rock sections that we scrambled through that would have been a PITA on skis. I remember White Man Mountain being impressive from Mount Warre and Vavasour too. 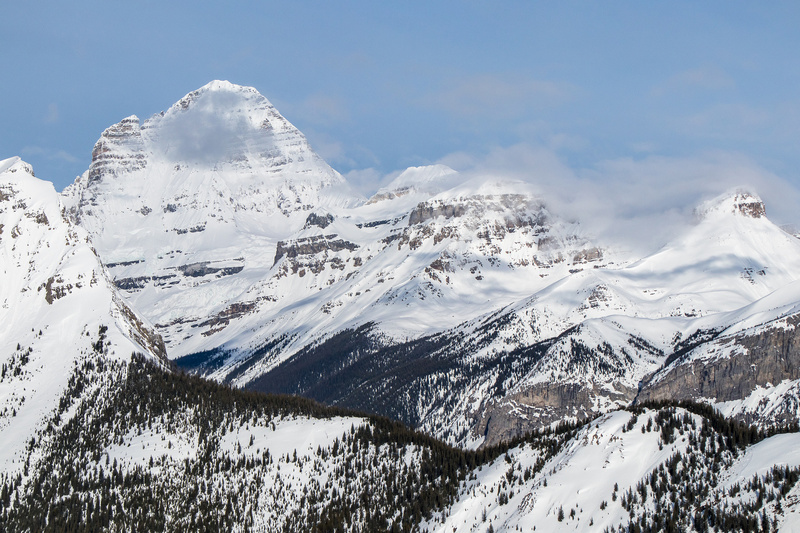 (L to R), Byng, Alcantara, Eon, Gloria, Aye, Marvel, Lunette, Assiniboine, Magog, Terrapin, The Towers and Wonder Peak. 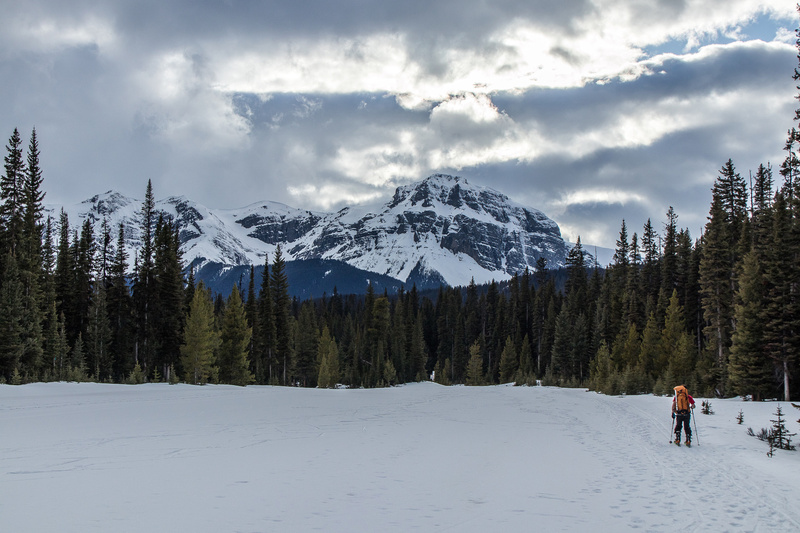 Mount Bogart looks awesome from the west! Buller Mountain and Red Peak in front. 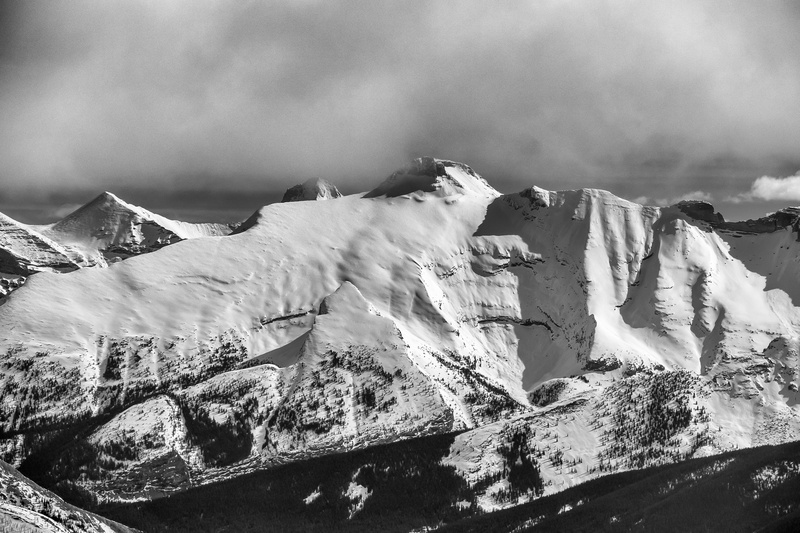 Mount Sparrowhawk with Read's Tower in front and Lougheed III and IV (Wind Mountain) at left. 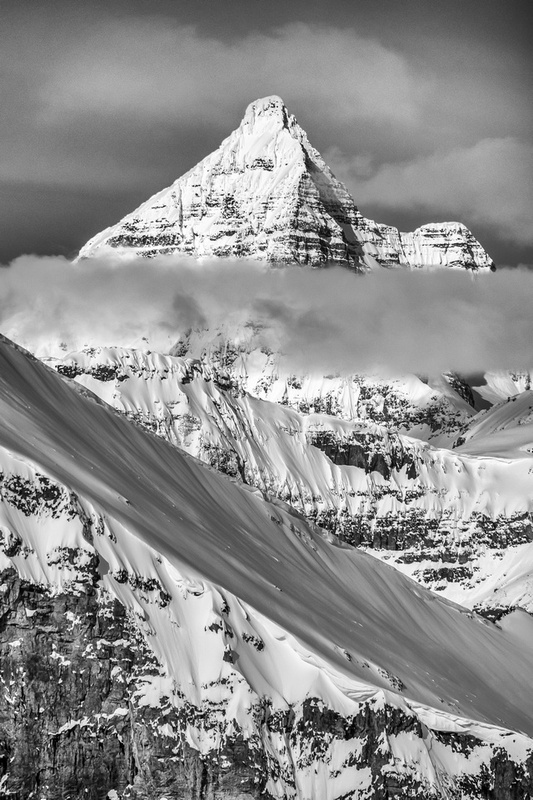 Mount Assiniboine's east face hasn't been climbed often. The Royal Group looks great from this angle and includes (L to R), Prince Albert, King George, Prince Edward, Prince Henry. Mount Sir Douglas with Joffre rising at right distance. 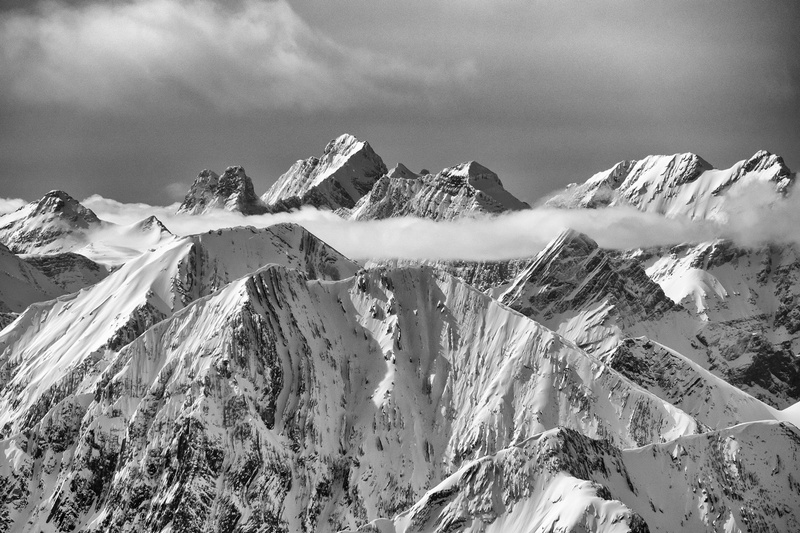 (L to R) Smuts, Murray, Smutwood, Birdwood, French, Robertson, Whistling Rock, Snow Peak, Sir Douglas. Talon is impressive from any angle. Soderholm is a large, impressive peak. 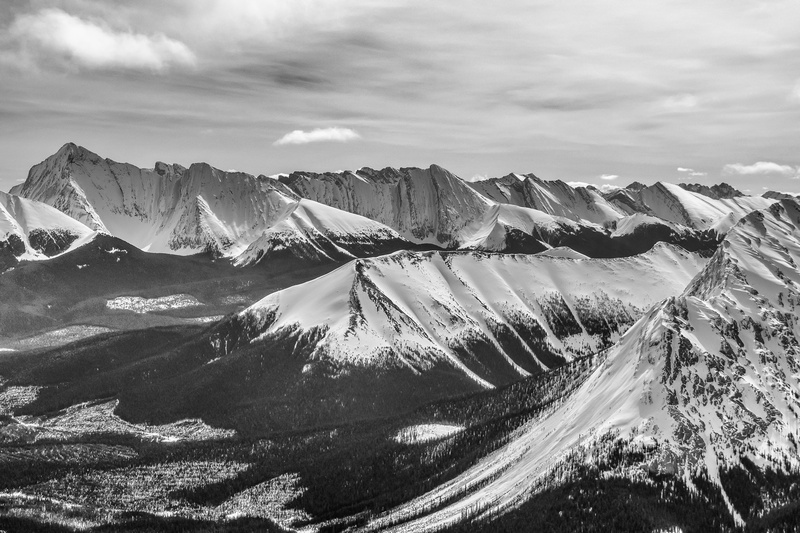 (L to R), Eon, Aye, Assiniboine, The Towers, Wonder, Cautley, Cave, Og, Allenby, Mercer and Beersheba. 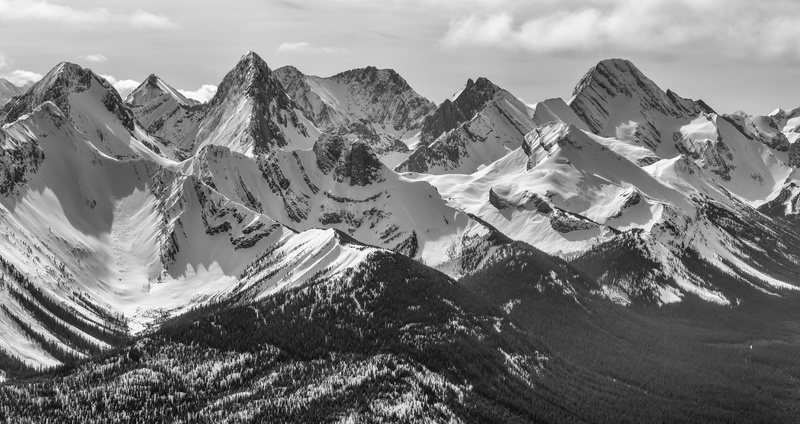 (L to R), Old Goat, Nestor, Lougheed, Fortune, Sparrowhawk, Bogart, Buller, Kidd, Engadine, The Tower, Galatea. Great views up the Spray River. Beersheba is a rarely ascended and esthetic peak from almost every angle. A wider view towards Beersheba with Mercer at left. Bryant Creek Meadows include (L to R), Gibraltar Rock, Cave Mountain, Citadel, Og, Golden, Allenby and Mercer. 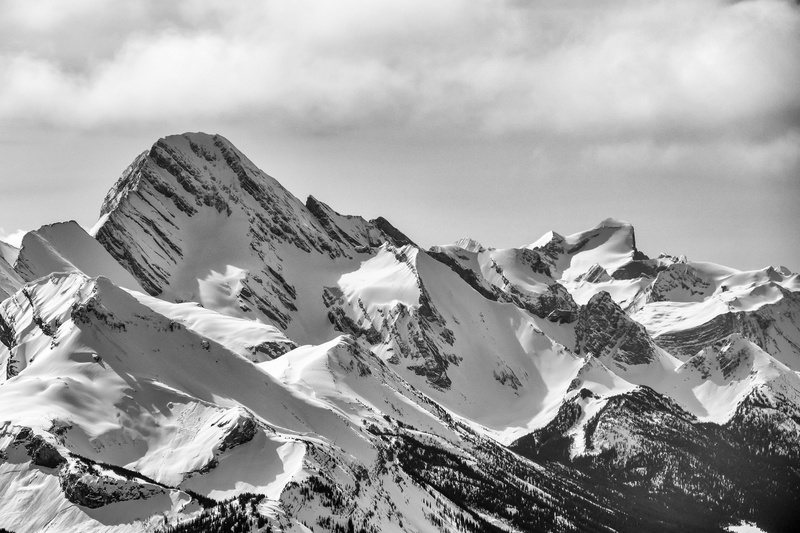 Mount Nester with Lougheed and Lougheed III (L to R). 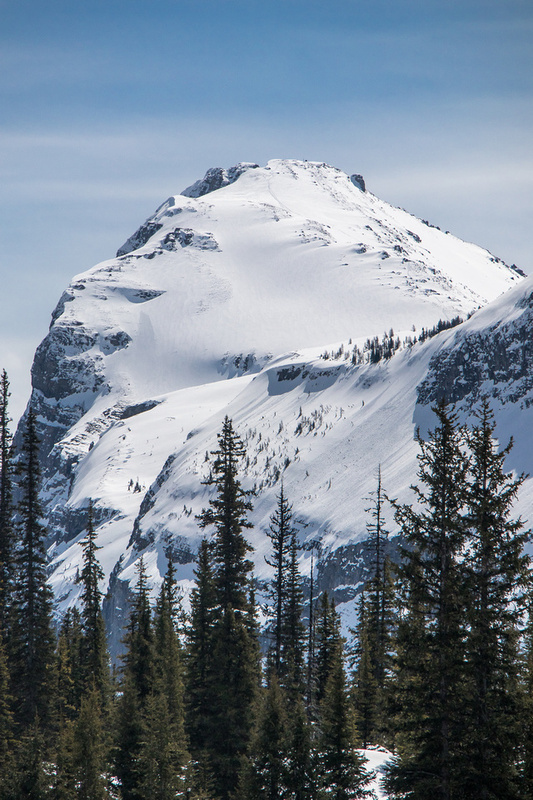 Old Goat Mountain is a beast rising way above Mount Fortune. L to R, Galatea, Little Galatea, Chester, Tent Ridge, Inflexible and Kent Ridge. We got buzzed by several choppers while on the summit. 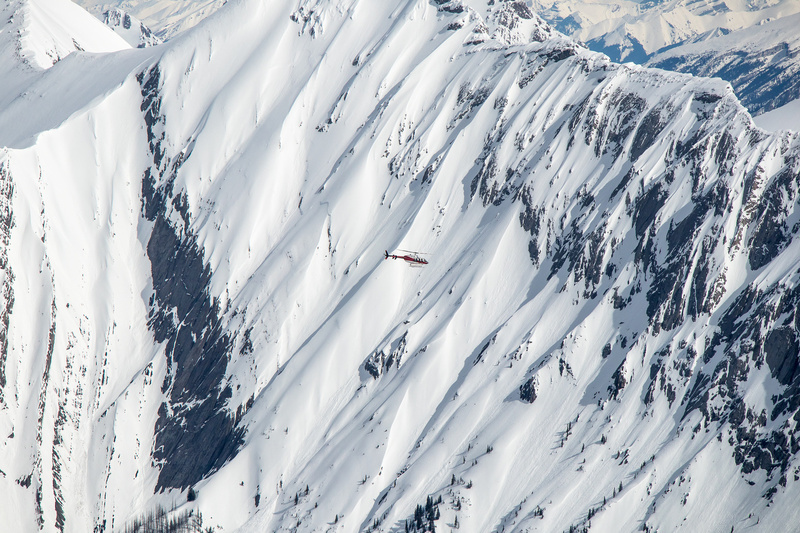 This upper section would have been a pretty sweet ski run on hindsight. 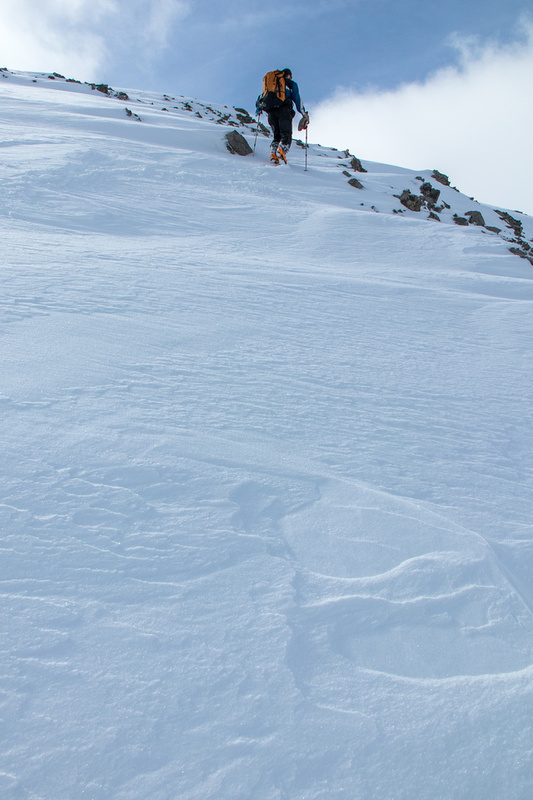 Ferenc skis up a roll in the NW ridge on return. Wietse and the summit block with our tracks. Mount Shark at right with Tent Ridge running to its left. Impressive views over Marvel Pass with Alcantara on the left and Eon on the right. 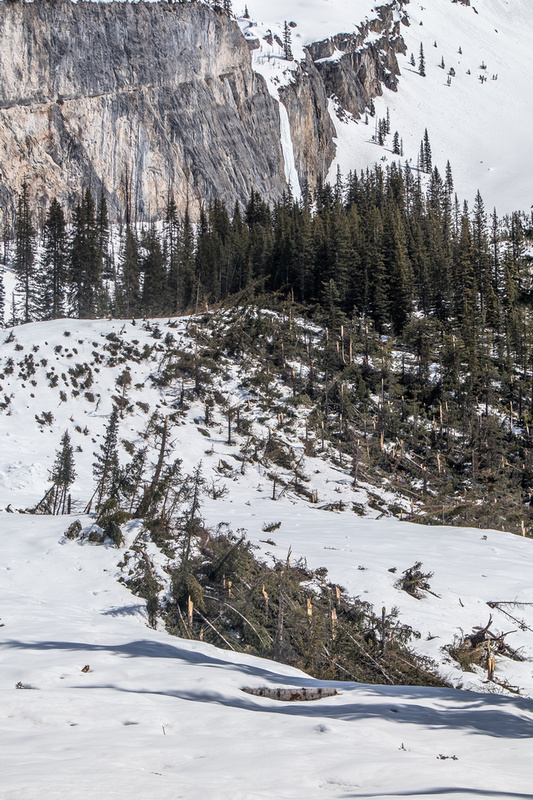 Looking back at my dust-on-crust ski tracks down the steep treed NW ridge just before the snow turned to CRUD. 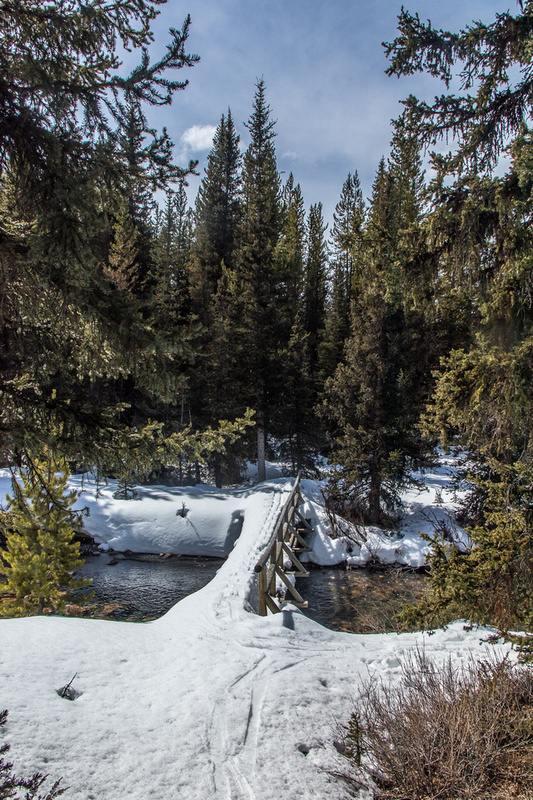 The bridge across Bryant Creek on return down the Owl Lake trail. 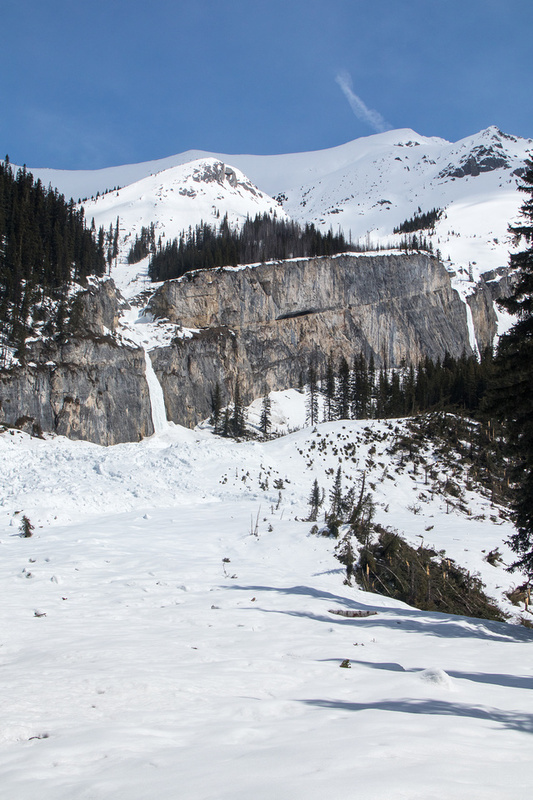 Skinning back up to the Bryant Creek shelter, the summer trail crosses this avalanche path showing recent signs of destruction. I'm thinking this was a bigger-than-usual slide. Mount Turner from the Bryant Creek Shelter. Inside of the basic Bryant Creek shelter. The green moss near BR9 - Big Springs camp site - makes for great winter photos. There are words scratched in each one. As you get closer to the trailhead the language deteriorates dramatically until the last one just says F_CK. I concur. Ferenc on the Watridge Lake trail with Morrison (L) and Turner (R) in the background.